At any time, you can view your library account to see which books you have signed out, when they are due, whether you have any fines owing, etc. Your username and password are the same as your email and Desire2Learn account. Undergraduate students may borrow Laurentian books for a period of 21 days to a maximum of 30 books. Graduate students may borrow Laurentian books for a period of 120 days to a maximum of 50 books. If a book is on loan to another reader you may reserve it for yourself by signing in to Your Account via the Library Catalogue. When the reserved item is returned to the Library you will be notified by email that it is available. The item will be kept on the "hold shelf" for 4 days. Please forward this email to racer@laurentian.ca so that Library staff can collect your book and ship it to you. All books from Laurentian's collection may be renewed up to 3 times, for a further 21 day loan period, unless requested by another borrower. A 120-day book may be renewed once. 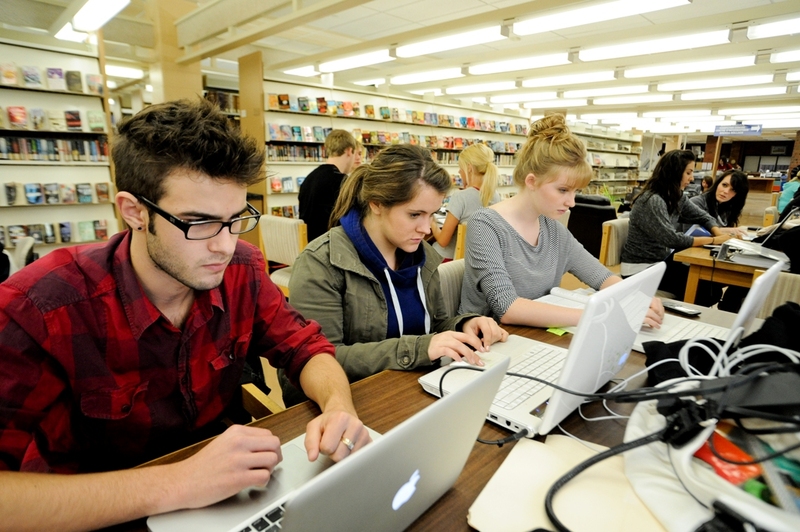 Learn how to renew your Laurentian University library material. Your username is your Laurentian username. If you do not know your password, click on "Forgot your password" link which is below the login screen. If you have no remaining renewals on your library account and still require a book, please contact Off-Campus Library Services by phone (1-800-661-1058, extension 2) or by email. Loss of documents must be reported immediately. Materials not returned 28 days after the due date are presumed lost. The charge for lost Laurentian books is either $30 per item or the replacement cost of the item. There also is a $5 service charge. The loss of documents from other libraries will be governed by RACER policy. The user will also owe any overdue fees that have accumulated, until the item has been returned or claimed as lost. If you have incurred any library fines, you may pay by cheque, money order, or credit card.